Social Media increases your brand’s recognition and establishes customer loyalty. With millions of people and a variety of social media sites, voicing your content and brand through these channels makes you more easily accessible to customers and more familiar to them. An emotional connection with the customer is created, building a community of loyal and returning customers who are happy to like and share your business’ content on their personal pages – thus spreading the word. Because social media is a proactive tool – it increases your company’s trustworthiness as you become a reliable source of communication to your customer. This is integral as customer satisfaction is paramount to retention and loyalty of the brand. People are receptive to what you as a business owner have to say. They are less likely to view obvious advertisements but are more likely to hear what you are saying on a more “social” forum. You can also address any problems with your product or service immediately. Surveys have shown that consumers appreciate companies that respond promptly to customer complaints and show that they are trying to take steps online to resolve them right away. Social media helps uncover customer’s preferences with products, and/or expectations. New products that are shown on social media tend to sell better as customer notification on this is now instant and direct. Ultimately, effective communication means more sales. Social Media platforms can generate an increased volume of traffic to your website, which in turn leads to boosting traffic and SEO rankings. Businesses can combine SEO efforts with social media to help maximise marketing efforts. Google loves social media and recently has allowed live tweets from Twitter to appear in search results. Personal profiles and Facebook business pages are also coming up in Google results. Remember your competition is already involved in social media and are tweeting and facebooking like crazy! You need to be up to date with your marketing objectives and focused on gaining the results it can provide. With worldwide access, sharing capacities and the huge amount of daily users – the exposure of your business on social media platforms allows you to build relationships outside your office or shop. The beauty of social media with this increase in online exposure is that your marketing costs will decrease. Time has to be budgeted for your businesses online presence, however paid advertising on these sites is relatively cheap depending on your budget and goal. The traditional paper and marketing add campaigns are costly, however with social media – you can reach the same quota of people for significantly less cost. It really is the marketing strategy of the new millennium. A website is no longer enough in today’s world for a successful web presence. Your business social media platform represents your company in the eyes of the Internet browsers and buyers. People expect at a minimum businesses to have a Facebook and/or Twitter account, and they expect to be able to get in contact with the company representatives if needed. A social networking platform makes your company look more legitimate and is a must – have for business. At the very least it increases brand recognition and helps drive traffic to your website. It can lead more customers to consider your product or service however it is important to acknowledge that real social media marketing takes dedication, time and resources. The beauty of social media for businesses is that it is free - so if you can handle your own social media management; running a social networking campaign is as cheap as it gets. However, the reality is that not everyone has the time, focus or understanding to get the most from their social media platforms for their business. 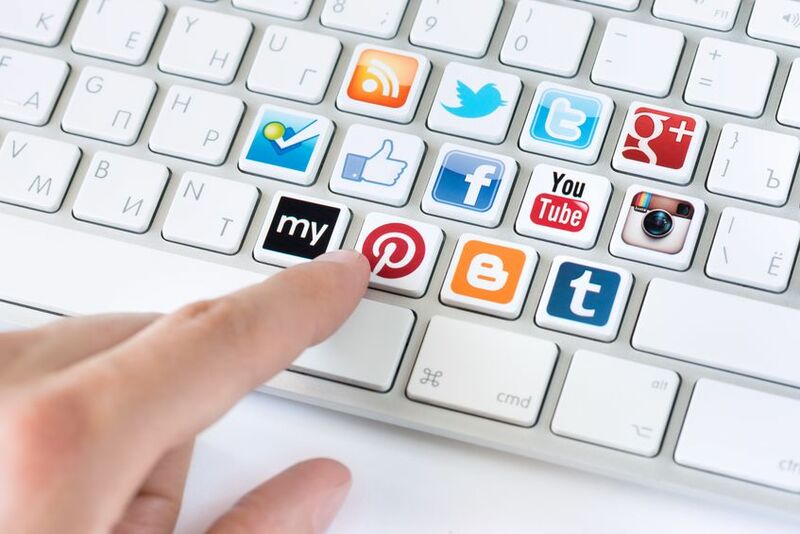 Central Coast Web Design understand the importance and benefit of a social media platform to help market your business. Contact us today for a look at our social media packages and see how we can increase your business so you are meeting your full potential in the social media realm.